DZ's Adventures: Ding Dong Puppy! 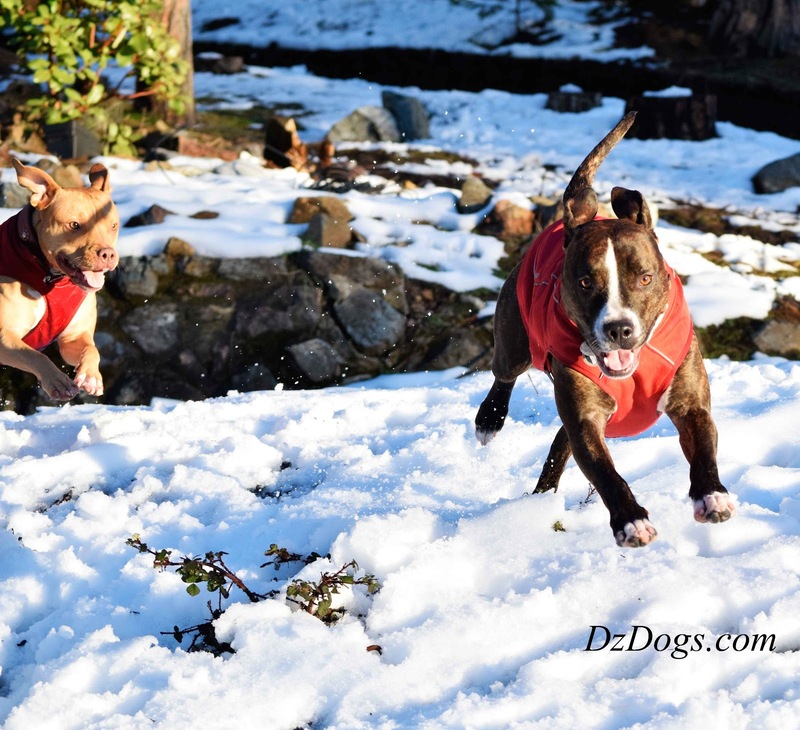 So we were out playing, taking advantage of the break in the weather and the dogs decided to do zoomies! It was so funny! Dante runs with his head up high ears and tail flying behind him like a maniac, Ziva chases with her tail curled into a cute "C" shape. Dante then darted down the hill and up the driveway, Ziva hot on his tail decided to take a short cut!!! And BOOM! Ding dong puppy fell in the pond! I think she thought it was solid because of the snow on top. Needless to say, playtime was over while we dried her off! Oh dear, not totally frozen, huh? Glad you are OK! Oh Ziva, what a face! She has this WTH look. You had fun while it lasted!